Registrations for the 2019 Cheltenham Swim are now closed. REGISTRATIONS: Register online by clicking the link on this page. Registrations will remain open until 5pm on Friday, March 8th unless we reach our maximum number (200) beforehand. Please note that our last open water swim reached cut-off point several days prior to the swim. There are NO swim-day registrations. 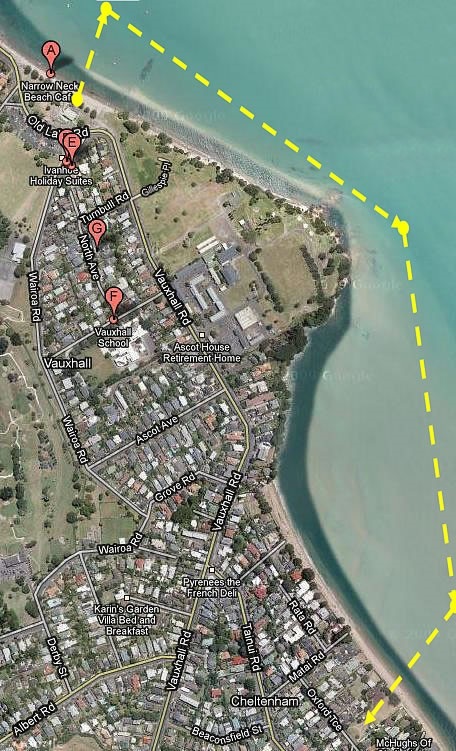 CONFIRMATIONS: Swim day confirmations are open from 7:30am at Narrow Neck Beach. For safety and regulation reasons, no-one will be permitted to swim without having confirmed at the desk. Please remember your BIB number or bring it along with you to help keep the confirmation queue short. GEAR: Your gear will be transported in a secure trailer to Balmain Reserve for collection at the conclusion of your swim. REQUIREMENTS: Wet suits are optional. Swim caps are compulsory - please bring your own. We may have a couple spare at the registration desk should you forget. RACE BRIEFING: A full race briefing will be given at Narrow Neck Beach at 9:05am. LATE FEES: Late Fees apply from Sunday March 3rd 2018. Late Fee $10. PRIZES: Cash prizes to category winners + generous prizes donated by local sponsors TBA. CANCELLATION: In the event of an extreme weather forecast the day before, we will email all entrants on 7th March 2019 at 7pm to announce any changes to the course or cancellation. It will also be published on this website and on devoswim.org.nz. Early on the day of the race we shall make a last inspection of the course to ensure it is safe. A final GO or NO GO announcement will be made on this website no later than 7am on 8th March. Devonport Swim Club would like to thank the following local sponsors, who have been vital in making this annual event a success: Devonport Hammer Hardware, Marbles Art Studio, The Natural Health Company, Tiny Triumphs, Nicolino Restaurant, Yarntons, Devonport Flowers, Barfoot Thompson Devonport, Cosi fan tutte, Urban Kids Furniture, Marqeez, Liquorland Devonport, Asahi, Glengarry Wines.